The Debriefing room was a small conference hall. There was a long rectangular table at the center of the room with 6 neatly arranged chairs on either side. Only 3 of those were occupied today. At its one end,Sarah and Isaac sat facing each other. Chief Inspector Murugan dragged a chair to sit at that end, in between the two. "I want you both to tell me exactly what happened there last night without leaving out a single detail. I want you to tell me if you did so much as scratch your heads. Sarah, you go first" the Chief said. "At about 9.25PM, I got a call on the wireless about a woman in distress at Redwood trail apartments. Inspector Isaac and I reached the location at 9.45PM. The victim,Purva Rathore, was alive when we got there. The neighbours told us that they heard her shouting the name 'aaron' and that she was saying that he'd fallen from the balcony of her 17th floor apartment. She was in shock and refused to talk to us. There was no trace of the baby, in the house or anywhere around. No blood or anything.I asked Inspector Isaac to check on Purva. He found that she was depressed and traumatised and in no position to talk. He gave her a blanket and some coffee and went to interview the the neighbou..."
"What coffee?" Isaac interrupted. "I didn't give her a blanket or coffee. She was feeling uncomfortable, so I got her to lie down on her bed and let her rest." he clarified. "Wha..? Then when did she make coffee and sit on the chair in the middle of the room?" Sarah asked, confused. "Ok. What's happening here? Who else was with you both?" Chief Inspector Murugan asked, looking at Isaac. "Nobody sir. Just us. The neighbours were waiting out.."
"What?" Isaac and Murugan asked in unison. "She was holding a mug of coffee when she fell off the chair. It broke when she fell." she said. "But we didn't see any pieces of the mug near her body when we came back and found that she was stabbed. Someone cleared the crime scene" Isaac said, completing Sarah's sentence. "We need to go back and question the neighbours. Somebody entered the crime scene when I came out to call you, Stabbed her, cleared the broken mug from the floor and left. All in a few minutes." Sarah said, getting up hurriedly to leave. "Pssh..Yeah sure. Few minutes", Isaac murmured. "What?Shut up" Sarah retorted and left, slamming the door behind her. Isaac and Murugan shared a few giggles about women's sense of time and parted ways. Sarah sat in the car, deep in thought, scratching an insect bite on her neck. "Stop doing that. It'll get worse" Isaac advised. "It's irritating.I cant think. "she replied. "Ok.So Why coffee? Why make her coffee if you want to stab her and get away?" Isaac asked. "Why come back and collect the broken mug? This case is weird. From the missing baby that apparently doesn't exist, to this. Nothing makes sense." Sarah said, trying to connect the events, when suddenly, her phone rang. It was forensics. "Hello. Yes. What? Are you sure?.Ok. Finger Prints? ok.Thank you"
"That was forensics.Purva's death was caused by excessive bleeding from the knife wound" Sarah told Isaac. "So she was alive when you checked her pulse?Did they find any prints on the knife?" Isaac asked in surprise. "Apparently she was. But I checked. I was sure. She couldn't have been.."
"Hey. Calm down. It's alright. What about the fingerprints?" Isaac asked, trying to distract his visibly disturbed partner. "They ran it through our databases but didn't find a match." she replied. "Of course they didn't.Bunch of morons. "Isaac said. At the apartments, they began questioning the residents about anyone entering or leaving the crime scene the previous night. "Nobody.Except you guys. That other cop almost ran over my poor Petunias" 76 year old Martha complained to Sarah, unhappy about the treatment meted out to her plants. "But I didn't step on your plants miss!" Isaac said, in an attempt to clear his name. "Oh!Not you love! You're wonderful. The other young man. The one in the coat that said 'Police' " Martha clarified to the duo's utter shock. "When did you see him? Was carrying anything with him?" Isaac asked. "He came out of the house sometime after you left. He had a little plastic bag in his hand but I couldn't see what was in it. I'm Sorry" She said. "Ma'am. We need you to describe this man in as much detail as you can to a sketch artist." Sarah said, while Isaac called the sketch artist. Back in her office, they went over all the evidence again. Frustrated, Sarah got up to get something to eat from her shelf. "Hey Sarah. Didn't you say that the coffee mug broke when Purva fell?" Isaac asked. "Nothing. Hang on. The time of death is between 10PM and 11:30PM." Isaac said. "We got there at 9:45 and she was alive. We must have left the house at about 10:20, so that makes sense. Whoever stabbed her, did it within that window.Makes sense"
Sarah said, unwrapping a sandwich as she spoke. "No. I left the house at 10:10. You threw that shoe at me at 10:45." Isaac said. "I wasn't alone in that house for half an hour! I checked her pulse, found she'd died, got up and ran to the balcony to call you. 3 minutes at best" Sarah said in her defense. Isaac took his phone out of his jacket and checked his call records. "I called Control room to tell them we didn't find anything at 10:40PM. That was while I was in the car. Look" Isaac said, holding his phone out. "Sarah. What happened in the house in those 25 minutes?" Isaac asked. "It wasn't 25 minutes Isaac! I'm sure" she said, almost in tears. "Show me that insect bite. The one you were scratching in the car" Isaac said, as if he was on to something. Sarah tilted her head, revealing a small wound. "That's not an insect bite. That's from a needle. You were drugged. We've got to get you to the doctor NOW." he said after looking at the wound and ran out, dragging her with him. "Yup. She was drugged alright. There are minute traces of it under the skin. Nothing life threatening. You didn't have to rush her in here" Dr Neha announced. "That's not why I rushed her in here. I needed to be sure. They've got to conduct another post-mortem of Purva's body quickly." Isaac said while he called forensics on his phone. Sarah followed Isaac to the forensics department, unsure of what he was onto. "Remember you said the coffee mug had broken? There was a mention of the coffee in the forensics report but they hadn't tested it.The killer might have cleared the broken mug but not the floor. I've just asked them to run tests for any abnormalities in the coffee.They're making the report now. Come on! "Isaac told Sarah, excitedly. "You were right Isaac. We found trace amounts of Armosyl, a rare poison. It's a compound of arsenic and almost undetectable once it enters the body. We only found it because it wasn't fully dissolved in the coffee." Dr Mani said. "So you couldn't find it in Purva's system? "Sarah asked. "No. Once it enters the stomach, it kills almost instantly. If we run a test now looking for residual quantities, we might find it. But judging by the concentration of the poison and how much coffee was in her stomach, the cause of death was certainly poisoning. It caused paralysis and cardiac arrest in seconds." "But then she should have died before I entered the room" Sarah said. "You said she was holding the cup and staring at the wall?" Dr Mani asked and Sarah nodded in agreement. "Then yes.She had died by then. The poison caused her muscles to tighten and hence her grip on the cup tightened. Her neck muscles tightened as well and therefore it appeared as though she was sitting like a stone." Dr Mani inferred. "What about the first report?" Isaac asked,"Why didn't you mention cardiac arrest as cause of death?" "We couldn't find anything that could cause a cardiac arrest so based on the evidence we had, we concluded that she suffered from a minor cardiac event, due to the shock but death must've been caused by the bleeding. "he said. "You weren't wrong Sarah. She was dead when you checked her pulse. The killer managed to drug you at that point and retrieve the coffee mug so that there wasn't any evidence of the poison, leading us to believe that she died from the stab wounds. Except, he wasn't able to clean the coffee from the floor"Isaac concluded. "She must have thought he's one of us too.That's why she accepted the coffee from him." Sarah completed. "Or, she knew him"Isaac suggested, when Rajesh, the attender, walked into the room with a file. The sketch artist had completed his work. Sarah opened the file and took out the sketch. She felt her hands go numb and her legs give way as she handed the picture to Isaac. "Who is that?" Dr Mani asked, peeping into the file. Isaac looked up at Sarah in disbelief. "That's Tony Joseph. Sarah's brother". He turned to Dr Mani and in a feeble,cracking voice added, "He died three years ago". Internet Privacy- Is there such a thing? There are people who care about Internet privacy and there are those that don't. This post is primarily for the former, but aimed at trying to convince the latter that they should start taking the idea of online privacy more seriously. 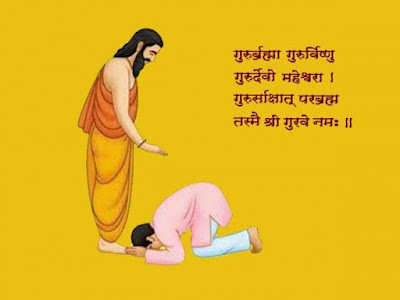 "Guru Brahma, Guru Vishnu, Guru Devo, Maheshwarah, Guru Saakshaat, Para brahma,Tasmai Shri, Guruveh Namaha, Tasmai Shri, Guruveh Namaha"
This post is meant for a selected few. So most others will find this irrelevant. It's meant for the people who took the trouble to write flattering remarks in my progress reports even though I'd only deserved a knock on the head and a good telling off. It's meant for the people who actually did tell me off when I'd gone too far in childish exuberance. It's meant for those I remember dearly with fond memories and others whose memory still sends a chill down my spine (but I still remember dearly). Gurus, they say, are dispellers of darkness. This post is meant for every guru I have ever had- both inside a classroom and outside it. 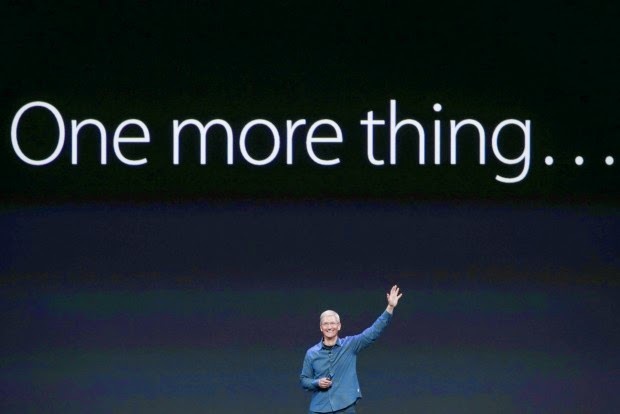 Every now and again, Apple likes to shake up an industry. What makes Apple special is that it's not just one industry that they've changed forever. changed how people viewed and used mobile phones and the iPad brought a major shift in the capabilities of a "Post-PC" computing device. With every launch Apple did what they did best- what they, in the immortal words of Steve Jobs, had set out to do- Put a dent in the universe. Nostalgia: Posts from the past !